GOD IS IN THE DETAIL: The Real World Has Been Stolen And Digitised; Royal Mail Fights Back. The Royal Mail has been labelled a dinosaur on its very last legs. Having failed to embrace email (and the fact that they are in the communications business rather than the letters business) early enough, it seems as if there is no hope of seeing any kind of revival for this out-dated memorial to the days where people sent their thoughts to each other on paper. Or is there? www.welcometoreal.co.uk is the beginning of Royal Mail’s (long overdue) fight back. This is a powerful piece of thinking which in the long term could see Royal Mail resurrect itself as a brand by finding a purpose in this new world, albeit perhaps in a smaller and different capacity than it’s former all encompassing status. The ‘dematerialisation’ challenge facing the Royal Mail is a pretty formidable one, but also perhaps a simple one. The challenge – How to make letters relevant when they can’t even begin to compete (on efficiency, ease and speed) with any form of digital communication? 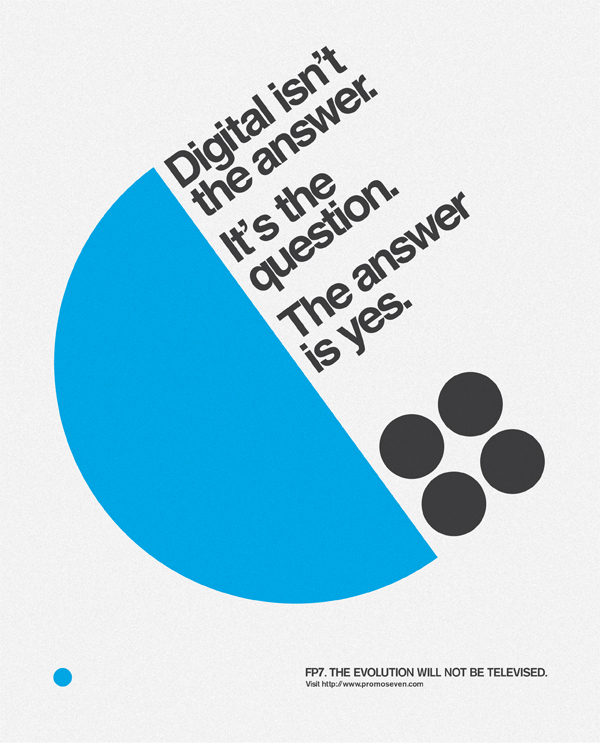 The answer – Don’t. Differentiate instead. Celebrate and make a virtue of the physical qualities (paper, stamps, ink etc.) of letter writing, something digital competitors can't begin to compete with. 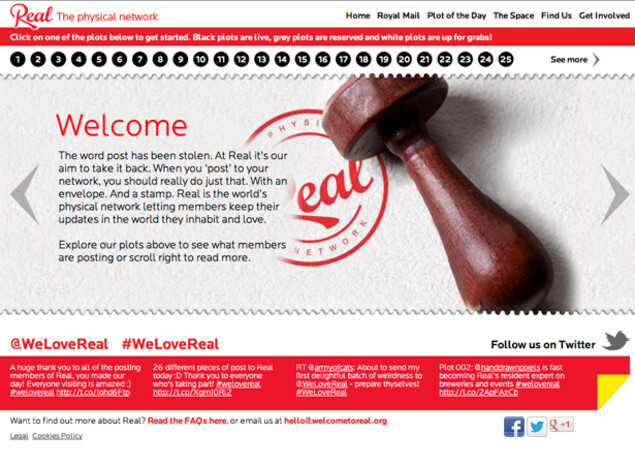 Welcome To Real is not a commercial opportunity for the Royal Mail as such, but it stands as a flagship for letter writing which if used effectively could revitalise their business. 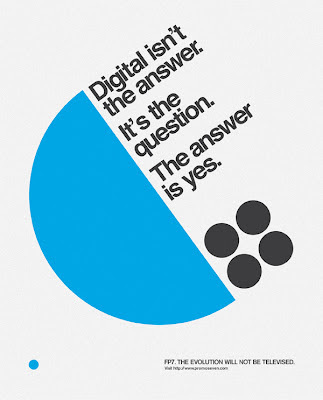 It taps into a commonly held desire to hold onto materiality as everything becomes digitised. Consider our love of old records (now itunes) and photo albums (now Flickr)… the list goes on. By celebrating our love of the physical, Royal Mail has the opportunity to reposition letter writing as the form of communication we use when we want to say something really important, with feeling and with permanence. Now that’s a brand I could fall in love with. PS. If Royal Mail follow through on this thinking it could expand their business to almost anything in the 'real world'.